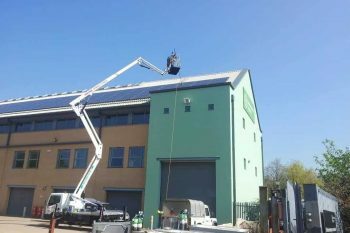 Do You Want Your Solar Panels Cleaned? 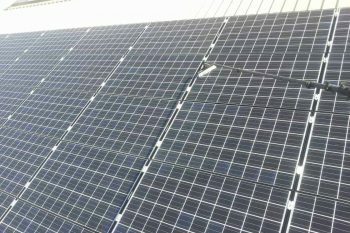 Clean Solar Panels or Your Money Back! 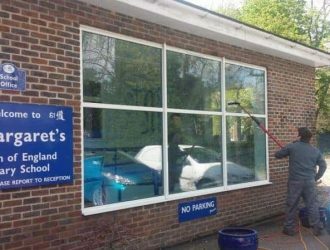 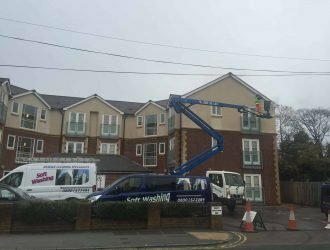 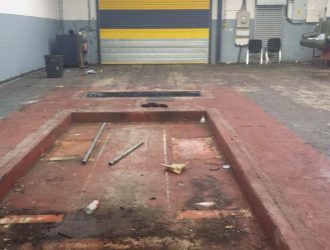 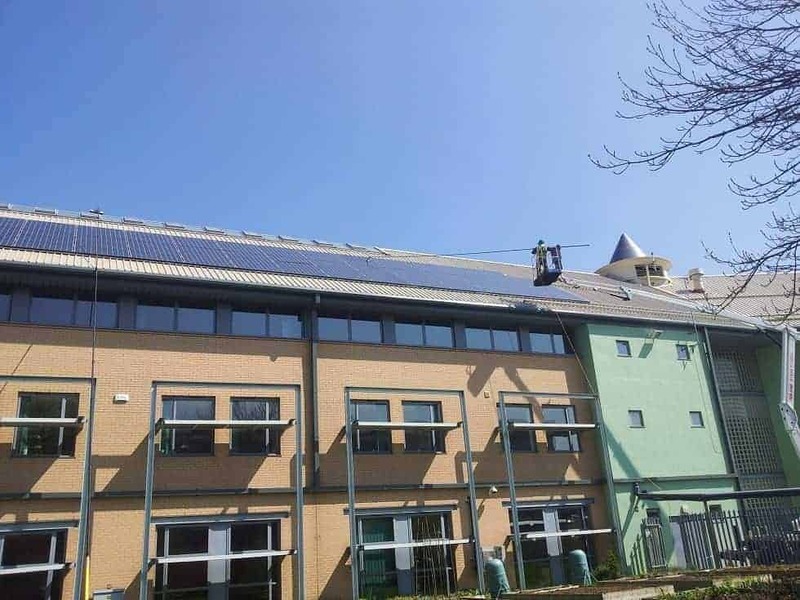 The Solar Panels had lost power output due to becoming dirty and were in need of a thorough clean to guarantee outstanding results for the investment. 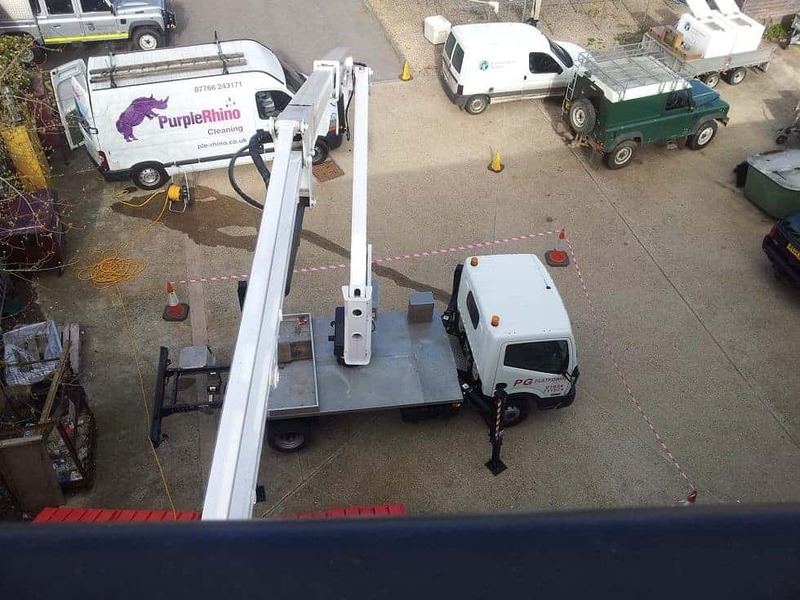 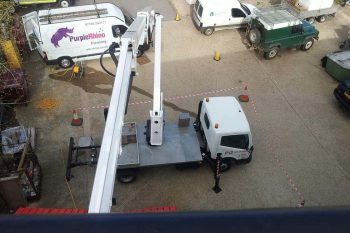 Purple Rhino has become the UK’s number 1 Solar Panel Cleaning experts and are chosen by hundreds of businesses to regularly maintain their solar panels. 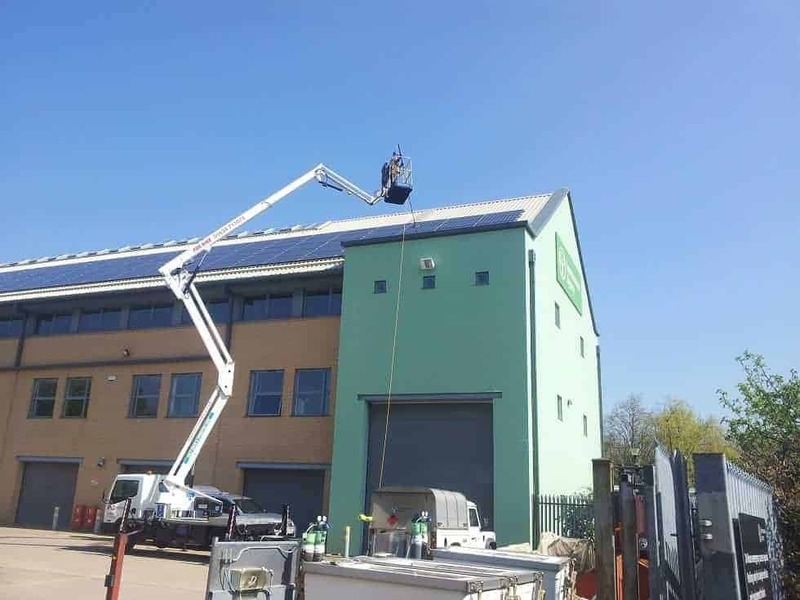 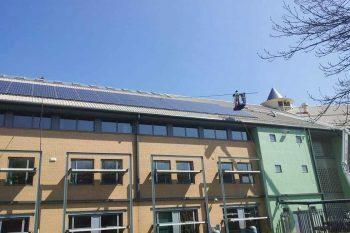 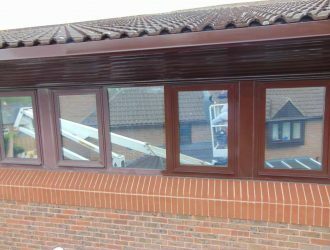 By choosing the correct access equipment to safely access the solar panels was extremely important at Trentside as the building is reasonably high with Solar Panels mounted onto a pitched roof. 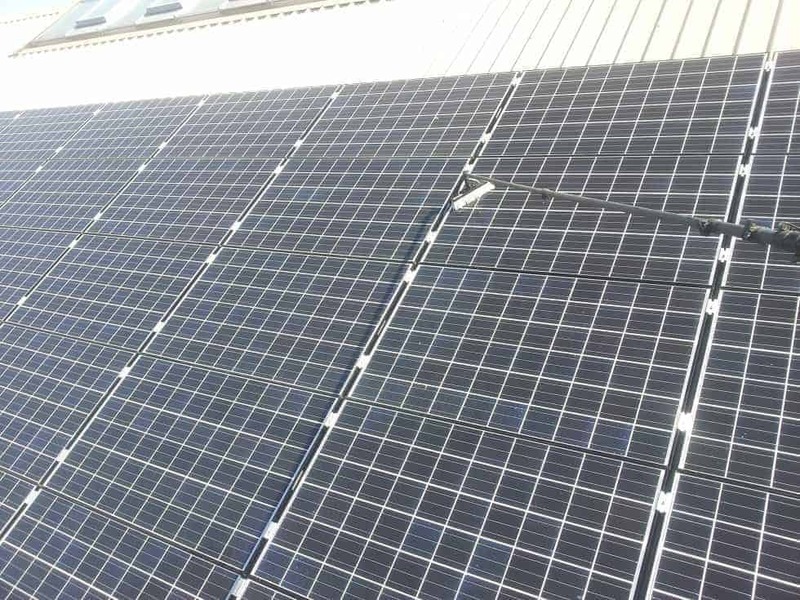 Using hot purified de – ionised water the solar panels were effectively cleaned – ensuring that no deposits were left on the surfaces – guaranteeing astonishing results in electricity production straight away. 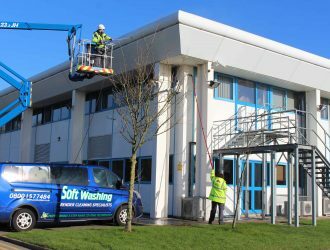 The water was delivered in one of our bespoke water filtration vans and was pumped gently up and through our specially adapted Solar Panel cleaning carbon fibre poles complete with soft brush to help remove any stuck on residues left behind by the birds and other environmental polutants.